We all love being in a clean environment. Many cleaning products out there, however, contain harsh chemicals and additives that may harm you and your family while you are trying to rid your home of dirt and debris. Have you ever considered an alternative, such as green cleaning supplies? The term “green clean” means to clean without the use of toxic chemicals. “Green” products are made with environmentally friendly ingredients that will not harm us or our precious planet. This method of home cleaning is just as effective as using chemical-laden cleaning supplies, without harmful side effects. 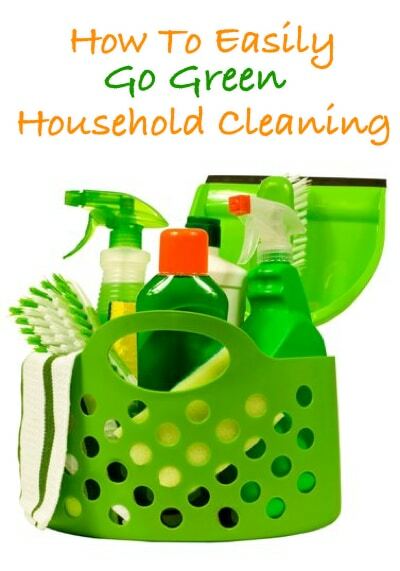 You will learn that it’s not difficult at all to make the switch to green home cleaning. Many companies have branched out to embrace the great green cleaning movement and now offer green versions of most cleaning supplies. However, you will find that it is much cheaper to make green cleaning supplies in your own home. Surprisingly, it takes very little effort and time to craft green cleaning supplies. You may even have all of the ingredients already at your disposal! To keep your windows and mirrors sparkling and spot free, you need only a spray bottle of water, newspaper, and one of three ingredients. Most commonly used is white vinegar. In one gallon of water, mix two tablespoons of vinegar. Pour this simple solution into your spray bottle, and you’re set! Spray liberally to glass surfaces and scrub clean with the newspaper. For those who dislike the smell of white vinegar, club soda or undiluted lemon juice can be substituted with the same magnificent cleaning results. It seems that this room needs constant attention! The kitchen area more than any other room is where we want to keep harsh chemicals out, so as not to pollute our food source. There are a couple of different methods that will work wonders on your counters and cooking surfaces. Baking soda is the go-to product for everyday cleaning. Spread the soda on your counters and then wipe clean, using a moist rag or sponge. For stubborn messes, craft a salve by adding a bit of water to the baking soda. For a powerful disinfectant spray, mix two cups lukewarm water with three tablespoons of liquid detergent. Add in two tablespoons of essential tea tree oil. Shake to mix and spray where needed. The above mentioned kitchen cleansers will also work well for daily bathroom cleaning. For mildew or soap scum build up, try lemon juice. Simply spray the area with the lemon juice and scrub clean with a stiff brush. For spills on the carpet, club soda will remove stains if used immediately after the accident. Pour the soda generously onto the spot and blot with a cloth. For a carpet deodorizer, sprinkle baking soda onto the carpet and vacuum after thirty minutes. Hardwood floors can be kept clean with a solution of one quarter cup of vinegar and three and three quarter cups of warm water. Spray on and mop as usual. Try these green cleaners for yourself! You will see that they work wonderfully!